WASHINGTON, D.C. – The FBI announced earlier this week the establishment of the Loli Abuse Intervention Force (a.k.a. L-FORCE). 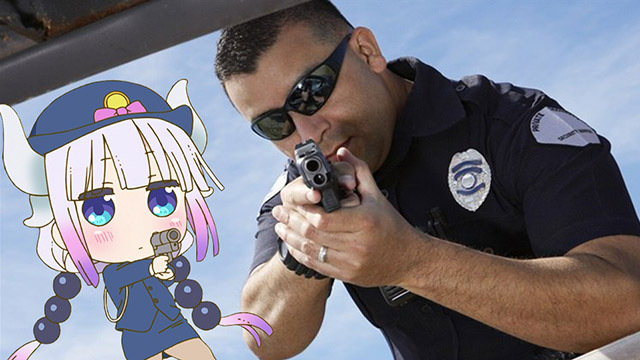 The unit’s primary function is stated to be the protection of petite anime girls via preemptive intelligence operations along with specialized response capabilities in crisis situations. The task force’s profile indicates they are cooperating with CIA webcam specialists and the tactical squad trains with the FBI’s in-house Counter-Strike team. L-FORCE’s operations will largely remain quiet so as to apprehend perpetrators without warning. Many individuals, fearing suspicion, have begun setting their browsing history to private and keeping all anime paraphernalia hidden from public view. Other government entities have been less receptive of the new initiative. The EPA criticized the decision for being too broad and failing to address certain cases of distasteful lewding, and their “Animals are Friends not for Fapping” program has done little to affect the issue. As of present, L-FORCE’s first operation will be to provide emergency assistance the Center for Disease Control where a severe case of platelet lewding had been reported. Holy hecc is this real?